Your vehicle is a rolling billboard. It is seen over and over again. 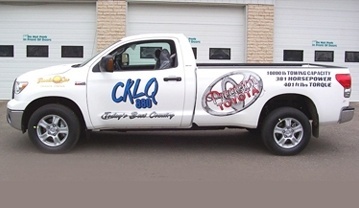 What better way to advertise than taking advantage of your vehicles constant exposure to potential customers. This is where it all began for us. 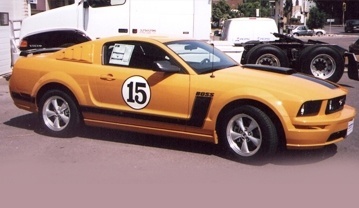 We started as a small mobile striping business in 1989 and have grown into one of the most recognizable vehicle enhancement shops in the Westman area. Accent Performance is your one stop shop to customize your vehicle. 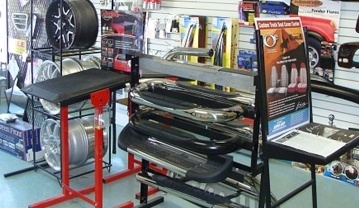 We not only sell, but install performance parts and auto accessories to the highest of standards. We make a wide variety of custom made signs in our shop. The majority consists of Decals, Coroplast, Intecell, Illuminated, Dibond, Magnetics, Banners, and Galvanized Steel signs. Don't try this yourself. Trust us. 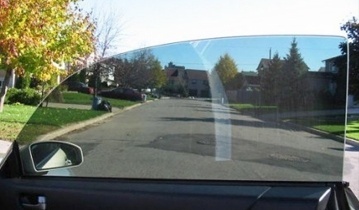 Have you ever noticed those vehicles with the tinted windows full of unsightly bubbles? Enough said. Window tinting is one of our specialties. At Accent Striping and Lettering Company Limited, we help deliver planning and reporting in a way that makes sense to you. 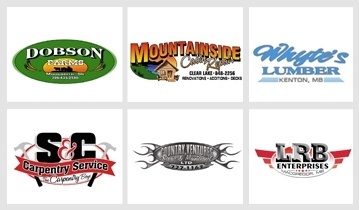 We provide services across Wawanesa, Douglas, Brandon, Manitoba. Call (204) 729 8660 for inquiries or to schedule an appointment.